On several occasions, I said what I think about current basketball (for instance, see the following posts: Basketball 1.0, True basketball, and Pristine basketball). After watching some games of the 2018 NCAA tournament, I have to admit that my beloved college basketball has been corrupted as well. It is not as unwatchable as the NBA yet, but clear signs indicate that it seems it took the same direction. For example, with regard to the rules’ interpretation, the traveling violation almost does not exist anymore in the NBA. The following animated images show a couple of incredibly uncalled violations which, even worse, were committed by two of those who are considered the best players. Although you can’t see such obscenities in NCAA games yet, I noticed that the referees became more tolerant about this rule. Needless to say, the traveling rule is the foundational rule of the game and it should be always enforced rigorously. That said, March Madness still gives us emotions like no other championships. The environment and the excitement surrounding the tournament are always awesome. 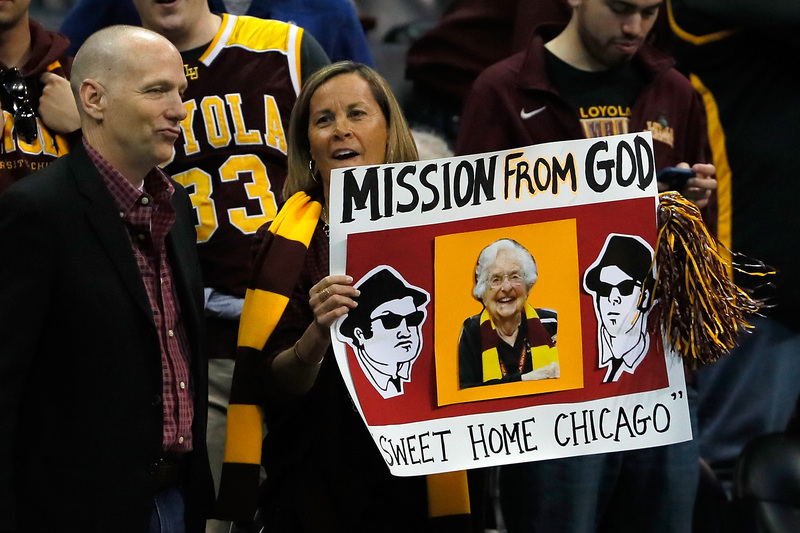 The episode of sister Jean is a shining example of such craziness! By the way, although they were not one of the top seeds, the Loyola Ramblers showed how a team plays the right way on both sides of the court. After all, it seems that the game of basketball is not completely dead yet. But, come on, please don’t call it basketball anymore. I really think we should find a new name for this game. I would propose businessball, and you?